Curtis Model 1310 Vehicle System Controller works in conjunction with Curtis CAN- based motor controllers and other CAN open devises. It uses the industry standard 2 wire CAN-bus technology. 1310 integrates direct digital and analog signals with application - specific software . 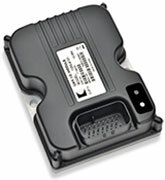 The Curtis Model 1310 Vehicle System Controller provides a single-point "Master" control of multiple vehicle functions. Model 1310 can be applied to electric vehicles, non-electric vehicles or stationary control systems. The Curtis Model 1352 CANbus I/O expansion module provides accurate control of up to 9 proportional hydraulic valves, or can be used to add other digital and analog I/O to any CANopen based control system. 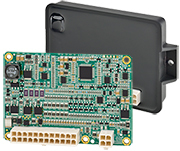 Expands I/O capabilities on any CANopen vehicle control system. Typically used on materials handling trucks, aerial lift platforms, airport ground support equipment, compact construction equipment and sweeper-scrubber floor care machines. The Curtis Model 1353 CANbus I/O expansion module provides accurate control of up to 9 proportional hydraulic valves, or can be used to add other digital and analog I/O to any CANopen based control system. 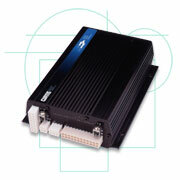 Expands I/O capabilities on any CANbus vehicle control system. Typically used on materials handling trucks, aerial lift platforms, airport ground support equipment, compact construction equipment and sweeper-scrubber floor care machines. Typical applications include Sweeper-Scrubber floor care machines, or any other 24–36VDC application requiring control of multiple loads up to 100A each. The Curtis Model 1356/1356P CANbus I/O expansion module provides accurate control of up to 5 fingertip joysticks, or can be used to add additional digital and analog I/O to any CANopen* based control system. It is available as a conformally coated PCB (model 1356) or in an epoxy filled enclosure (1356P). *Contact your local Curtis sales office for SAE J1939 support options. 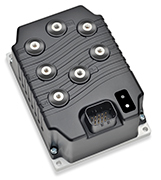 Expands I/O capabilities on any CANopen* vehicle control system. Typically used on materials handling trucks, aerial lift platforms, airport ground support equipment, compact construction equipment and sweeper-scrubber floor care machines. *Contact your local Curtis sales office for SAE J1939 support options.